Sick call at the mast this morning followed by dosing and treating the various shipboard illness and injury. Nothing of any great import. Scrapes and bruises common among men whose job it is to climb, handle rope and lift heavy objects on a daily basis. 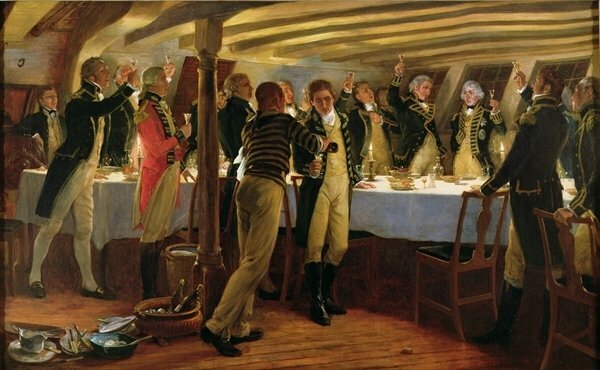 The traditional Wednesday toast was offered up in the Ward Room this evening from Lt. Hamilton, "To Ourselves". It was followed by the amusing reply from our purser, Mr. Armitage, "As no-one else is likely to concern themselves with our welfare!"